Shortly after the new year, the U.S. Department of Homeland Security launched a series of high-profile raids to detain and deport mothers and children who fled violence in Central America. Over the first weekend, 121 people were picked up across the country; at least 77 of them were quickly deported. And news reports suggest that the raids are continuing, even targeting unaccompanied children as well. The Obama administration claimed that those apprehended do not qualify for refugee protection and had been ordered removed by an immigration judge. But the raids have raised serious due process concerns. Already, the Board of Immigration Appeals has put a temporary halt to the deportations of 33 mothers and children, who argued that, among other factors, they lacked access to competent attorneys when making their cases for asylum. Ensuring that anyone fleeing persecution and violence has the ability to make a full and fair claim for asylum is a cornerstone of domestic and international law, and all people in the United States—regardless of their immigration status—have a right to due process under the Fifth Amendment to the U.S. Constitution. When it comes to these mothers and children, the stakes are literally life and death: Honduras, Guatemala, and El Salvador—the countries from which they fled—are three of the most violent in the world. According to a report from The Guardian, at least 83 people sent back to these countries from the United States since January 2014 have been killed, often just days after their deportations. Advocates working with those apprehended in the raids have pointed to two major due process failings. First, these mothers and children often receive seriously flawed or incomplete information when they arrive in the United States. Many families do not receive adequate notice of their right to claim asylum or to appeal a denial of asylum, and many have not been told of their right to seek counsel. Likewise, evidence suggests that the government fails to adequately inform some unaccompanied children of future court dates, leading to in absentia deportation orders that a child would not even know to contest. Second, even the families that make it to court often appear without legal representation: Only 47 percent of the families picked up in the first weekend of raids had counsel when they appeared in deportation hearings. Because asylum cases before the immigration courts are adversarial—meaning that a trained government attorney argues against the individual in question—access to counsel is critical. And although immigrants are entitled to due process under the Constitution, there is not currently a guaranteed right to appointed counsel in immigration proceedings. Without a competent attorney, even people who meet the textbook definition of “refugee” find it difficult to win their cases. Data from one study of closed cases at the end of June 2015 found that only 2.3 percent of Central American families without counsel were allowed to stay in the country, while those with attorneys were 14 times less likely to receive deportation orders. Children as young as toddlers can end up in immigration court without a lawyer, and despite their unique vulnerabilities, the government is still fighting to stop a lawsuit that would require appointed counsel for minor children during their proceedings. As the Center for American Progress has previously argued, the Obama administration should halt these raids until it can ensure full and fair hearings for all asylum seekers. That said, what would adequate due process look like? First and foremost, everyone seeking protection should be given information about their rights as asylum seekers as soon as possible after being put in removal proceedings. The Vera Institute of Justice’s Legal Orientation Program, which provides people with information about their rights and the deportation process and refers immigrants particularly in need of counsel to pro bono attorneys, is one good model. The government should make very effort to ensure that each asylum seeker is matched with a pro bono attorney or is represented by a competent nongovernmental organization, and no child should face court proceedings without a lawyer. Second, no person who seeks asylum in the United States should be rushed to deportation. All those picked up in a raid, for example, should have their cases reviewed by a competent attorney to ensure that they have truly exhausted all of their legal options for protection. In 2014, the Obama administration responded to the influx of Central American asylum seekers by creating expedited hearings for unaccompanied children and families from Central America—so-called rocket dockets to speed cases through the system in the hopes that closing cases would deter future arrivals. 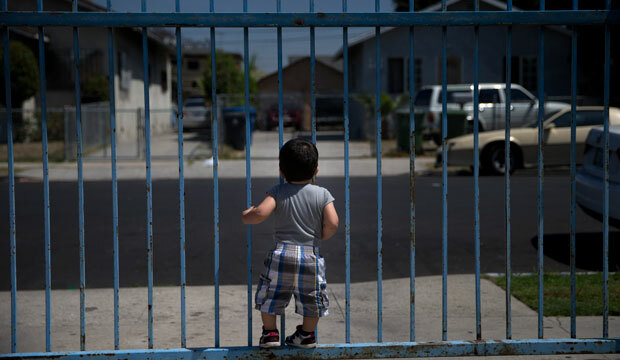 But this practice exacerbated the already-lengthy court delays for everyone else appearing before the courts and meant that some children and families had even less time to make their case for relief or to receive extensions to find adequate counsel. Congress did grant funding in December 2015 to add 55 additional immigration judge teams—a good first step but, given the backlog of cases and the continued use of rocket dockets, only a drop in the bucket. Ensuring due process for asylum seekers is, of course, only one part of the solution to the Central American refugee situation. The creation of a refugee processing system in Central America, announced by the Obama administration in mid-January, is another important step that could provide a safe option for people fleeing violence. Ultimately, the United States must work to tackle the root causes of violence and structural poverty facing the region, which would obviate the need for people to flee in the first place. In the meantime, the United States needs to ensure that it lives up to due process commitments for asylum seekers who arrive looking for protection. Philip E. Wolgin is the Managing Director for the Immigration Policy team at the Center for American Progress. He thanks Tom Jawetz, Michelle Brané of the Women’s Refugee Commission, and Wendy Young of Kids in Need of Defense for their help.